Sonic The Hedgehog is turning 25 this year…. And if for a lot of us, if we didn’t feel old before… we certainly do now! I kid of course, but yes 25 years ago, Sonic debuted and has been running at a very uneven pace in terms of good games versus bad games… particularly from the launch of sonic Adventure in 1998 which saw the franchise move from the 2D realm to 3D, which has resulted in some very… very… bad games… namely the one released for the 15th Anniversary that… well, we won’t talk about that here. 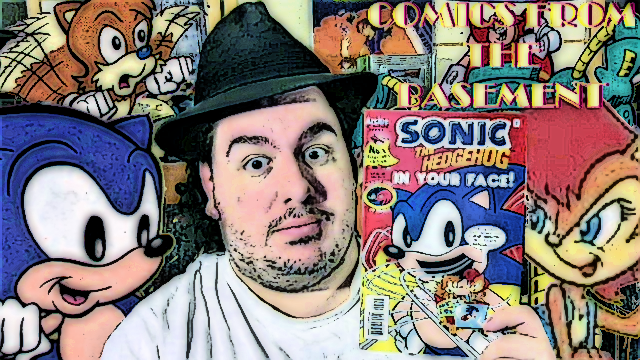 However over in the comics… Sonic has enjoyed a rather long and consistent run under the Archie banner, and outside of issues with legal paperwork being missing and a retcon event that also involved MegaMan, Sonic The Hedgehog comics have remained… fairly decent over the years. Though personally, I think issues 32 through 75 are the best since they follow more of the Sonic Saturday Morning series and tie them in to the games. And ironically… Sonic is a supporting character in the main story, ‘The Quest’ which actually focuses on the character of Princess Sally following the death of her mentor, and where her familiar look of having a vest and the personal computer called Nicole originated. It’s actually a well done story that is the first to show a possible future with a ‘happy ending’ but at the same time introduces a pre-destination paradox as Nicole was created in the future and sent back into the past. It certainly adds a nice bit of character back story as well as giving a destination for the series to go towards. The third and final story, Tails Tallest Tale, is listed in the comic as being the first solo story for Tails, Sonic’s sidekick… and he’s off to ‘Sonic Con’ to be a guest speaker, where he tells some tall tails about how he saved the day instead of Sonic, only to have to actually step up to defeat Robotnik when he comes around. It’s really just a test run to see if anyone would be interest in stories featuring the two-tailed fox, which would eventually result in him getting a mini-series a couple of years later. All together, this is a solid book, with the first story, ‘The Quest’ being without question the strongest of the three and the one that really ties into the Sonic SatAM continuity the most. 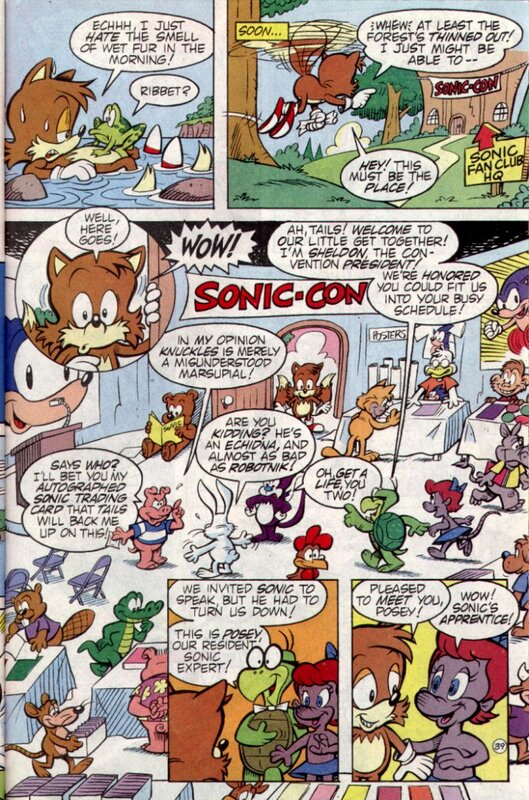 The story with Tails seems more suited for the Sonic Syndicated animated series, namely with the ‘Sonic Con’ … and The Mirror Zone story… is… well it’s just worthless. Beyond the trio of stories, this comic comes with a couple of pin-up pieces (if one was into removing pages from comic books), letters to the editor (called Sonic Grams) and even fan art. 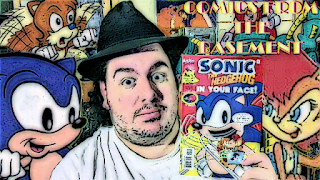 The artwork itself itself is a tad on the weak side, as noted this was originally printed in 1994, and at the time, the Sonic Comics were more on the ‘cartoony’ side, similar to the syndicate animated series as opposed to the dark style seen in the SatAM series, as it would be another year before the Sonic comics got into the groove that most people who followed the series in the late 90s and early 2000s got into. So the verdict is this: It’s certainly a solid issue to have in ones collection, if you’re a Sonic The Hedgehog fan, considering the ‘historic’ value of it being the first 48 page special in the comics run, it’s worth tracking down. MyComicShop.com has both listed for sale, and with the 1st printing version ranging in price due to quality from $2.40 to $7.49…. and a 2nd Printing version costing $5.00… safe to say, this is a comic that actually has gained in value over the years regardless of the versions from what I can tell.